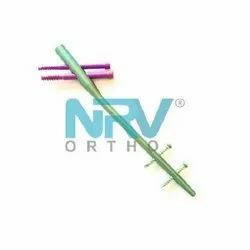 Our product range includes a wide range of interlocking tibia nail - regular, interlocking femur nail - hyper, interlocking tibia nail - hyper, pfn - hyper short 130' (pfna2 short), tfn nail, 130'/135' and proximal femoral nail (pfn short). 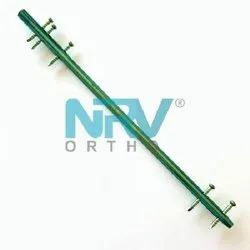 Owing to our rich industrial experience and knowledge, we are engaged in offering a wide range of Interlocking Tibia Nail. 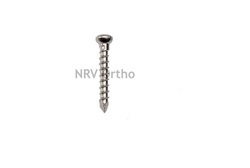 Whole Interlocking Tibia Nail is divided in different grades depending on the size. 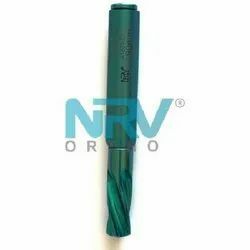 In addition to this, these Interlocking Tibia Nails are extensively used in industrial applications. 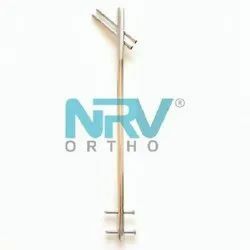 Backed by the years of experience and expertise, we are engaged in offering a wide range of Interlocking Femur Nail to meet the needs of our clients. 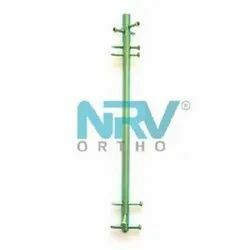 The Interlocking Femur Nail we offer to our customers is known across the globe for their quality and durability. Last but not the least, we are offering our range at affordable rates. 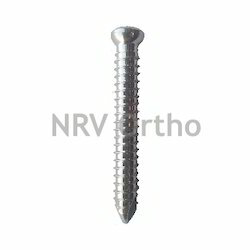 Available in Titanium alloy (As per ISO 5832-3) & Stainless Steel AISI 316 L..
Fixation with 4.9mm self tapping locking screws. Fixation with PFN Blade and 4.9 mm self tapping locking screws. 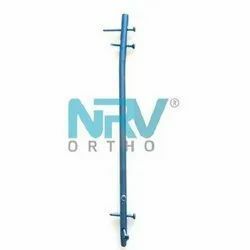 Intended for fractures in the trochanter and femoral neck region. Available in 130, 135 degrees. 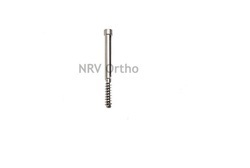 Fixation with 8.0mm femoral neck screws; 6.3mm and 4.9 mm self tapping locking screws. Fixation 9.2mm Femoral Neck Screws; 6.3mm and 4.9 mm Self Tapping Locking Screws. 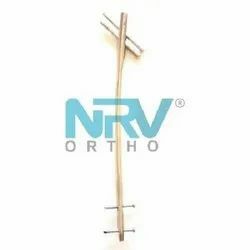 Supported by the team of skilled and experienced professionals, we are engaged in offering an extensive range of Proximal Femoral Nail (PFN) to our esteemed clients. 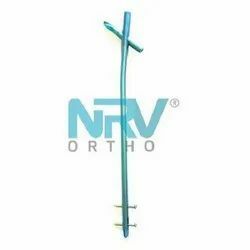 With its different specifications, the Proximal Femoral Nail (PFN) is offered by us to customers. 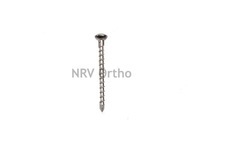 In addition to this, Proximal Femoral Nail (PFN) is known for its matchless quality. 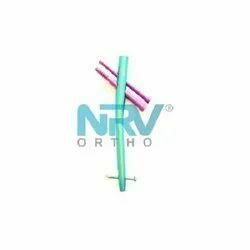 Being a well-known organization, we are engaged in offering a wide range of Distal Femoral Nail (DFN) to meet the needs of our customers. 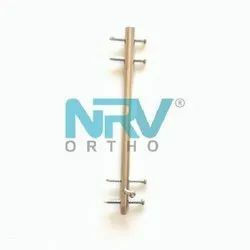 The Distal Femoral Nail (DFN) we offer to our clients is of supreme quality and is highly demanded in national as well as international market. 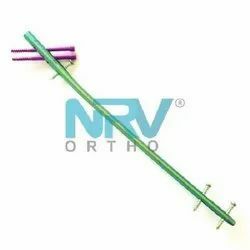 Moreover, our entire range is quality tested and certified as per the international norms. 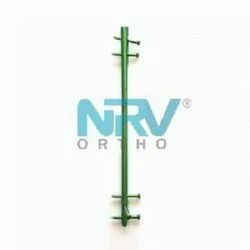 For stabilization of fractures of the distal femur. Disphyseal fractures in which a retrograde approach is indicated (ipsilateral tibia and /or patella fractures, proximal or distal end prosthesis, and adiposities termagant). Also available in two variant one is Normal Nail and Hyper Nail. 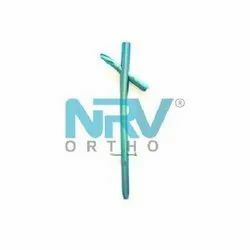 Variants available for Right and Left femur. Fixation with 6.3mm/6.0mm/4.9mm self tapping locking screws. 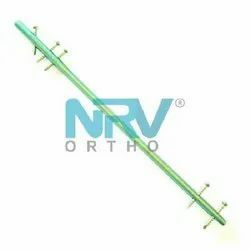 For intramedullary fixation of subtrochanteric fractures and ipsilateral fractures of the femoral shaft and neck. Fixation with 3.4mm Self Tapping Locking Screws. Stable or Unstable Shaft Fractures of the Humerus. Thread Length : Fully Threaded.